DECC's Early Intervention program offers early intervention services assisting children, from birth to three years old, who have developmental delays or disabilities and their families. Easter Seals Delaware and Maryland's Eastern Shore provides exceptional services to ensure that all people with disabilities or special needs and their families have equal opportunities to live, learn, work and play in their communities. Delaware does offer the TEFRA plan option. Please contact your local office for further assistance. Children's Choice is a private social services agency that contracts with county and state agencies in Pennsylvania, Maryland, and Delaware to provide foster care, kinship care, and adoption services. The Arc of Delaware ensures persons with intellectual and developmental disabilities can live, work, go to school and enjoy leisure activities in their communities of choice. 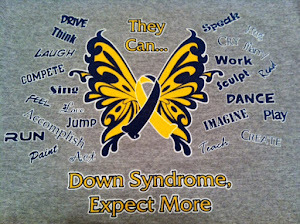 The Down Syndrome Association of Delaware was founded in 1979 as a non-profit parent association. We aim to be a supportive resource, advocating for the acceptance and understanding that allows individuals with Down syndrome to achieve the same level of access and opportunity as their peers.